Join the four time World Club champions on our journey as we strive for success in 2019. Be it that you are considering a seasonal package or just joining us for an individual match day our team will guide you through the process and help you enjoy your time with us. Wigan Warriors hospitality packages sell quickly so we always suggest booking early for the game or games of your choice to guarantee your places for 2019. 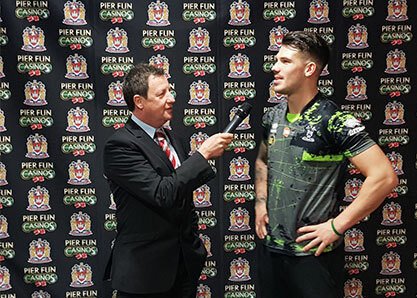 The DW Stadium features a trackside TV facing LED system that features on all our LIVE SKY & BBC games over the course of the season and also streamed online via our very own Warriors TV. Our home, the DW Stadium, is well known as one of the North of England’s premier venues that can host up to 25,000 spectators on match days. It also receives countless visits from the Sky Sports & BBC TV cameras during the year. The DW Stadium features a state of the art 220 metre trackside LED advertising system that shows content rich animation adverts with ultrafast refresh rates and high definition brightness. LIVE TV coverage for a good number of our home fixtures plus highlights coverage for the other on both SKY & the BBC plus streamed into the digital market by our very own Warriors TV plus SKY. The Club’s total LIVE TV audience for 2018 was over 4.8 million with countless millions more via highlights programmes and digital offerings. This is always one of the most popular Sponsorships we offer and often has a waiting list. It is well known to be one of the best ways to connect with our players and get a close one to one relationship. Always one of the most popular sponsorships that wigan warriors offer and often has a waiting list as so many fans and companies want to be involved. This is one of the best ways to connect with our players and get a close one to one relationship. TWO tickets to the annual “Gala awards end of season presentation” evening, when your player will personally present his shirt to you, sign it and again you will receive a mounted photograph from the event. First option to sponsor your chosen Player for the 2020 season. Match Day Sponsorships provide your company with the highest possible profile on a DW Stadium match day in front of the large crowds. The ideal way for your business to look after its top clients or staff with great surroundings and a fantastic match at one of the UK’s most famous sporting clubs. 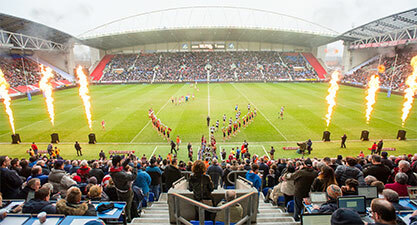 The highest possible profile on a DW Stadium match day in front of the large crowds is one of the major benefits of our match day sponsorship opportunities. Your party will be hosted in the glass fronted sponsors lounge on the 3rd floor. This is the ideal way for your business to look after its top clients or staff with great surroundings and a fantastic match at one of the uk’s most famous sporting clubs. A sumptuous three course meal served pre match (dessert served at half time). 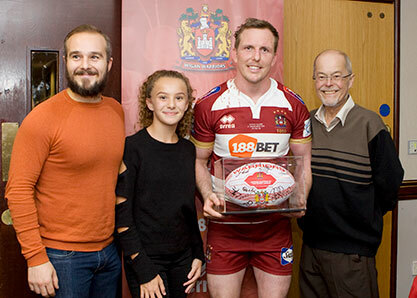 Our famed vip hospitality at wigan warriors extends to the ultimate of your own private box or small suite for the day–why not consider the ultimate glass fronted experience. Each box holds 8, 10 or 12 guests and the presidents suite can be booked for parties of 20–30. 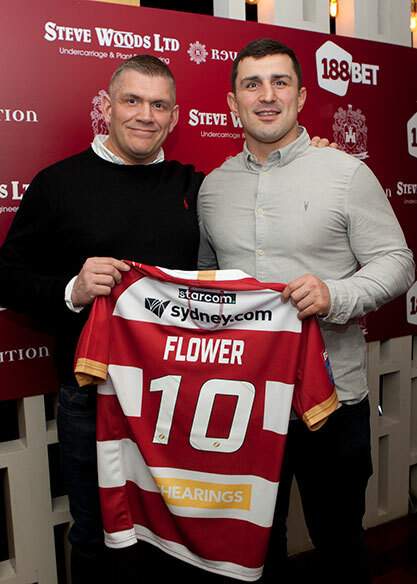 Experience the very best of vip hospitality at wigan warriors. Hosted on the 3rd floor of the DW Stadium in either the glass fronted sponsors lounge or Heineken lounge. The ideal way to experience a Warriors home game in true style, be it a family event, for your business to host current and potential clients, a treat for staff or a birthday / retirement / other special celebration event. Share the surroundings with a host of the clubs sponsors in either of these two great lounges and enjoy not only a sumptuous meal but all the first class entertainment that goes with a day at Wigan Warriors. One of the most popular areas of the DW Stadium for the Wigan Warriors fixtures. Why not enjoy a relaxed hospitality package with the ambience of Italy hosted in the DW Stadium’s famous Italian retreat, “Rigalettos”. If you are looking for a great meal in a relaxed atmosphere at a warriors home game, then the Rigalettos package is the one for you. 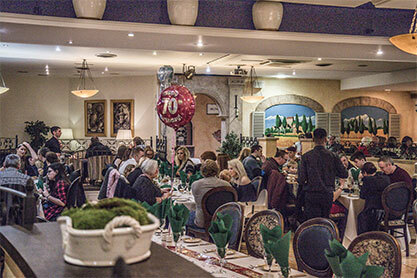 It is by far one of the most popular packages we offer on warriors match days with the ambience of Italy hosted in the DW Stadium’s well known Italian retreat, "Rigalettos". You get a private table, full three course pre match meal then, depending on the game chosen, either enjoy use of your Rigalettos table at half & full time or for quieter games join other guests in the relaxed atmosphere of the Cherry & Whites Lounge for half and full time drinks. Pier Fun Casino’s Cherry & Whites Lounge. The 2nd floor of the DW Stadium’s West Stand is the venue for the Pier Fun Casino Cherry & Whites Lounge. This is a very relaxed and informal lounge that offers several options of hospitality to enjoy the day’s game plus the match day events that unfold and all at very affordable rates. 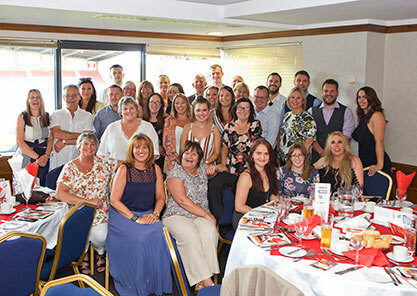 The 2nd floor of the DW Stadium’s west stand is the venue on warriors match days for the Cherry & Whites Club, sponsored for the second year by Pier Fun Casinos. This is a relaxed and informal lounge that offers several options of hospitality to enjoy the game plus the match day events that unfold and all at very affordable rates. Once again in 2019 Pier Fun Casinos will be augmenting the entertainment at several games for your further enjoyment. This is an ideal package for a business treat for staff, a family birthday, retirement or other special celebration event. You often see several Warriors players in the lounge after the game, who will be happy to pose for photos and sign autographs. Have you thought about linking your own 2018 Special Occasion to one of Wigan Warriors fixtures? Book any of our hospitality packages for the number of guests that you require for the game of your choice, then make it extra special by adding one of our “Special Occasion” packages. Do you have a special Occasion in the family this year? 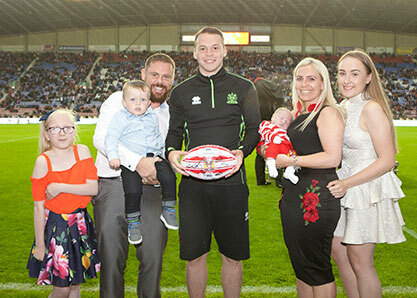 Have you thought about linking that family "special occasion" to one of wigan warriors fixtures in 2019? Just book any of our great hospitality packages for the number of guests required and for the game of your choice, then make it extra special by adding one of our "special occasion" packages.